"The USA has no culture." Well today, by killing Osama Bin Laden we proved we have proved what this letter predicted 10 years ago in this newsletter. Why do you travel, Andy? I travel to meet people. countries people ask questions with curiosity. or maybe admit something is wrong with my country. I travel because I can. I believe that I can do anything. I am awake at 4:00 in the morning in Europe. "Why am I here? What am I doing? Why do I feel compelled to rise everyday at 6:00 or 7:00? "Yes, the earlier the better"
Hobo’s left to look for jobs in other cities. and go where they wanted. A small ragged symbol of individual freedom. "I shall fear no evil"
Immigrants who paid the price of freedom. I feel very sad for those who died. But then I feel and act to a dangerous thought! They have granted the permission. To attack an immigrant people that has paid the price. That will pay the price. If the estimated time of completion is only 1 day. A people that have a culture. Thank you to our American Solders, delivered Dead as I requested. We are coming for the rest of you! I wrote that newsletter 10 years ago, nothing has changed, I am still proud of the USA with all its problems it is still the shining star for the world to follow. It is the only place on the planet that allows the freedom of people to openly complain about their government. We have a Black President, we are the leader of the free world, and this is our station in life, but with that, freedom is also a weakness, there is a hole for evil to enter. 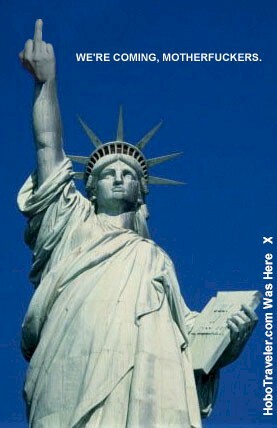 I am worried; I know that freedom allows Osama and his ugly form of religion to enter the USA. They do not want equality, they do not want peace, and they want to take over the country. I just watch the Islamic religion take over Cote d’Ivoire. They entered under the guise of peace, and when there were enough people accepted into the culture, they removed the old culture. Like a Trojan horse, they are entering in peace, accepted by our liberal and naïve people. I have traveled the world now for 13 years and visited 89 countries, please do not be naïve, reading is not enough, you need to see the real world to know what is happening today. This is a cult that takes poor and uneducated people, and manipulates them to evil ways. I am proud that one of there evil heads has been cut off today. 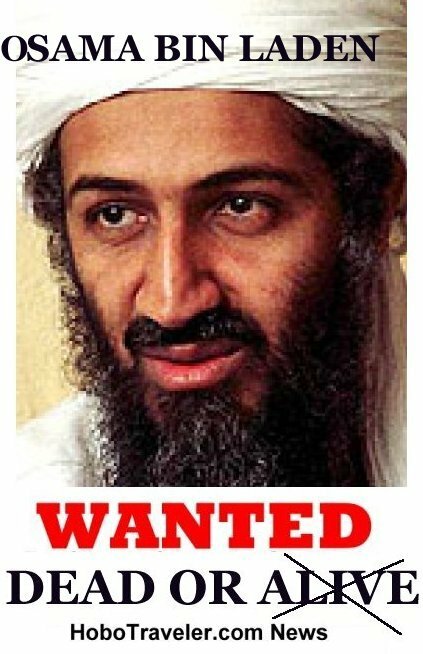 Osama Bin Laden wanted Dead, not Alive. I am not positive, however this is I believe a map of the location inside Pakistan where Osama Bin Laden was killed. As well, THANK YOU, Andy, I felt a lot of pride last night for my country, this is an important victory in an on going struggle, back in the 1980s before I left for tropical climes to 'reinvent myself',, my old neighborhood in Manhattan, NYC was still cops and firemen and other civil servants, for a year I worked in the WTC, I heard in October 2001 that two of my old 'first responder' friends had died in the same building, 2 guys like me who I used to go to 'meetings' with in Manhattan. More important than what I feel, this is a morale booster for our troops in Afghanistan. The Military Industrial Complex has had its way for decades in America, but this last decade has seen resource allocation toward war-making explode. Meanwhile, the United States' economy has continued to fall in disarray. This exactly what Osama wanted. He's laughing at us in his grave. National Debt exploding 250 pct. This has hit the American traveller in the money belt to visit the developed and most of the 3rd world.